The best streaming gear for Twitch! The Kingtop T-90 comes in at under $20, making it one of the most affordable gaming mouse on the market. For starters, it can go up to 9200 DPI. 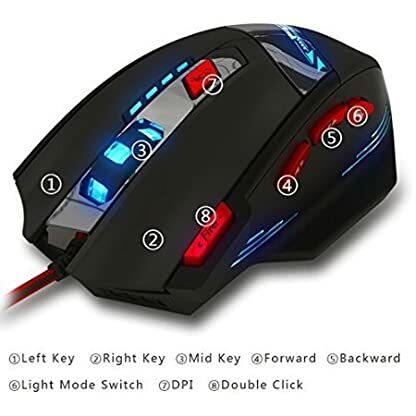 It can also be configured to cycle through it's 6 LED lights every time you switch a DPI level using one of the buttons on the mouse. The default color configuration is red at 1000 DPI, orange at 1600 DPI, green at 2400 DPI, light blue at 3200 DPI, blue at 5500 DPI, and purple at 92)) DPI. These settings can be changed via the Kingtop software however! 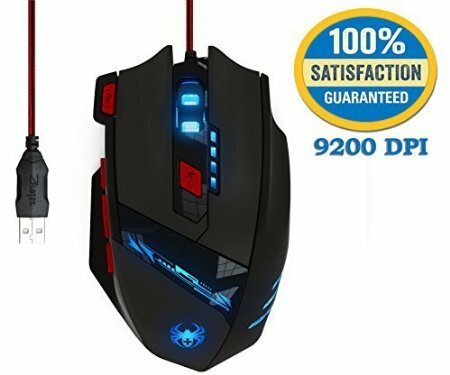 Obviously the best thing about this gaming mouse is the price. 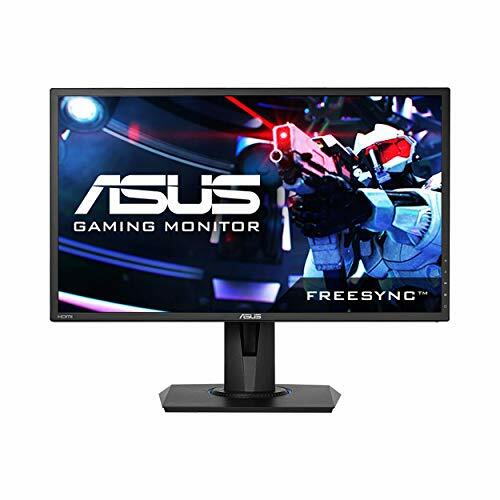 It is currently on sale for 60%+ off the regular retail price, but it's also ergonomic. 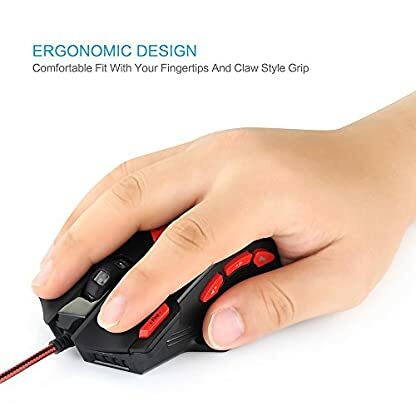 No more carpel tunnel syndrome because of gaming, huzzah! Another great thing is the incredible amount of high ratings but this mouse has received from customers online. There were over 150 customer reviews that left an average of 4.5 out of 5 stars rating. 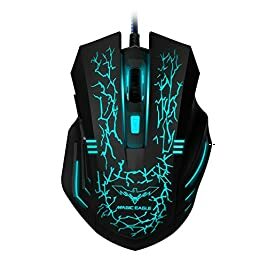 One customer who left a 3 out of 5 star review said that this mouse was mainly designed for first-person shooter games and not for strategy games because it is incredibly light. Keep that in mind when you're purchasing this mouse. 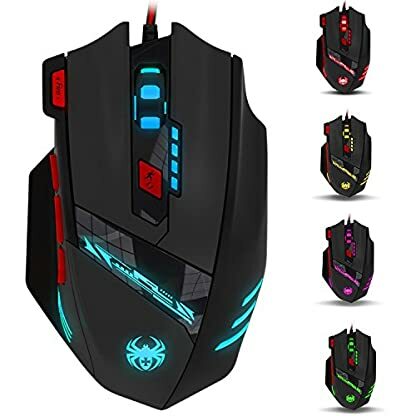 The review went on to say that right out of the box, you can easily select your DPI and play all of your favorite games and have separate settings for each one of them. 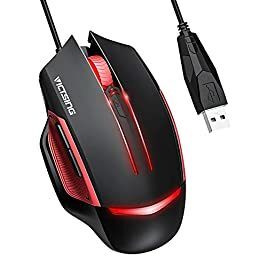 This is a great mouse for anyone looking to play Counter-Strike: Global Offensive, Battlefield 4 or even Call of Duty Black Ops 3 online and competitively. With most gaming mice on its level you will be paying upwards of the list price of $60. This is one of the best budget mice that you could buy right now with these features. 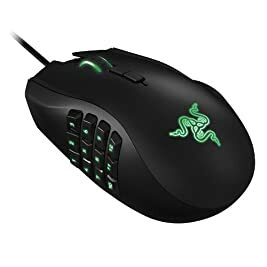 Another thing that this customer said was that it has very light clicks which will help improve your FPS and gameplay and it is also a wired mouse which most people who play competitively would say is required for the best response and gameplay. 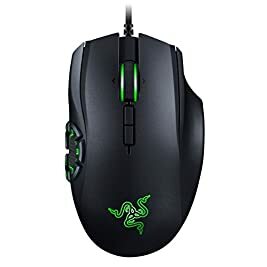 Also if you team this mouse up with a gaming mouse pad such as one from SteelSeries or Razer, then you definitely will see a huge improvement in smoothness and accuracy as well as precision and all of your games. 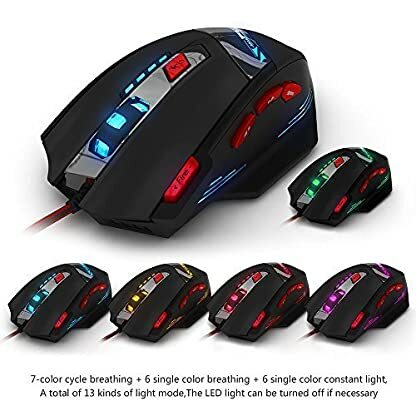 7-color cycle breathing + 6 single color breathing + 6 single color constant light; A total of 13 kinds of light mode, The LED light can be turned off if necessary. Built-in 8 weights, can be adjusted according to your habit. 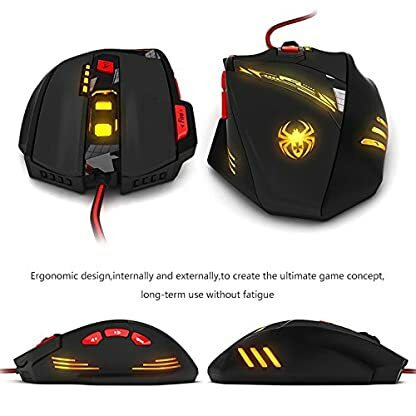 Ergonomic design, internally and externally, to create the ultimate game concept, long-term use without fatigue. 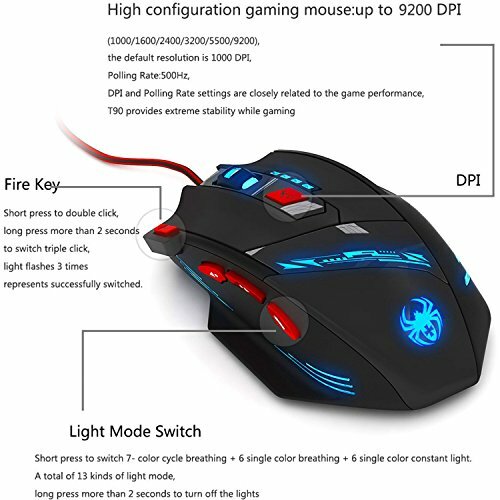 DPI and Polling Rate setting are closely related to the game performance, T-90 provides extreme stability while gaming. Amazon.com Price: $9.99 (as of 20/04/2019 20:09 PST- Details)	& FREE Shipping. 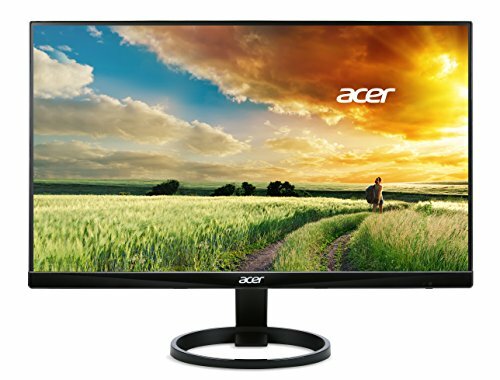 Amazon.com Price: $79.99 (as of 20/04/2019 20:02 PST- Details)	& FREE Shipping. 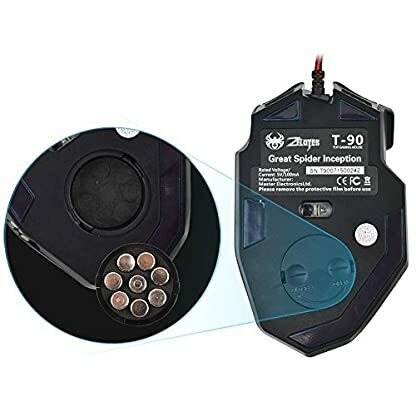 Amazon.com Price: $19.99 $9.99 (as of 20/04/2019 20:09 PST- Details)	& FREE Shipping. 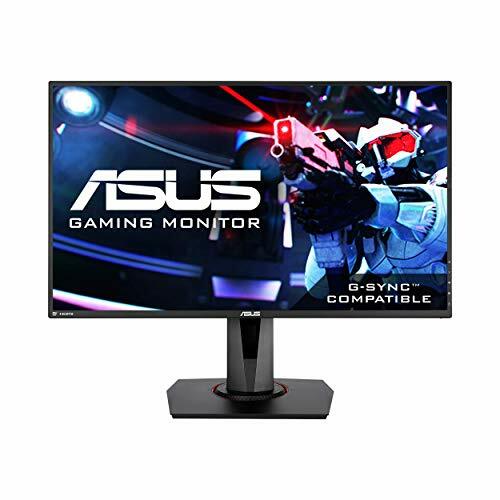 Do you need two monitors for streaming and gaming online? 5 Best Gaming Headsets for Under $20!